In order to make high precision semi-automated injection, using the microscope’s built-in camera, the field of view of the camera is mapped to the steps of the stepper motor controlling the injection mechanism. The camera vision software asks the user to move the stepper motor to two different points and click where they see the tip of the injection nano-pipette. Using the coordinates, the x and y components are mapped to steps of the stepper motors. 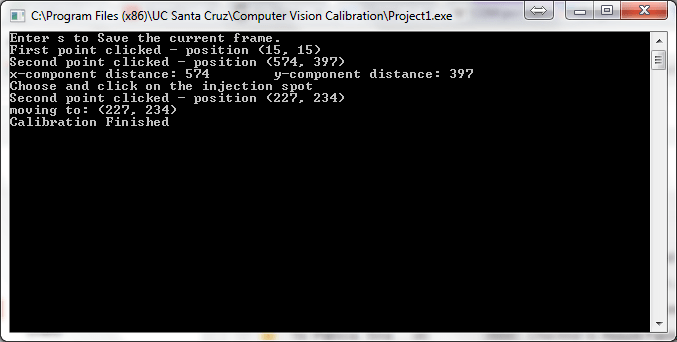 The camera vision software communicates with the Virtual Instrument to perform the injection.